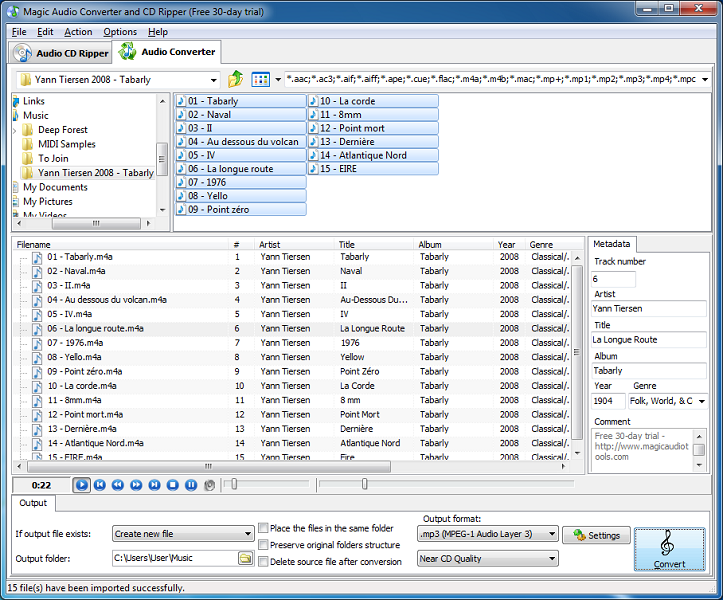 Magic Audio Converter and CD Ripper is the ultimate tool for converting your music collection quickly and reliably. Audio conversion has never been so simple and what's more is that there are many different formats supported by this program. If you are looking for an all-in-one solution that will allow you to rip audio CDs, convert audio files and edit audio tags, this software is the answer. Rather than having separate programs to do each of these tasks for you, you can instead have everything wrapped up into one convenient package. However, this type of software ,which is packed full of features can often be confusing and difficult to use, especially for amateur computer users. Magic Audio Converter and CD Ripper is an exception however, allowing you to easily convert your music files in just three clicks. It also supports drag-and-drop and a range of settings that are both easy to understand while still providing you with all the features that you need.